A mystic is someone who is an open vessel for The Divine; in communion with The Presence regardless of the day’s circumstance. S/he is aware there is something extraordinary happening within ordinary events. A Marketplace Mystic is someone who realizes that there is more than a financial exchange happening at work. And, the Mystic finds that “more than” compelling enough to devote their life to it. 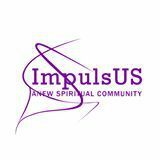 Welcome to ImpulsUS. We are a group of professional business people and entrepreneurs coming together to explore, reveal, and practice The Presence in all areas of living especially work. Each Saturday morning has three parts: meditation; introspection; and, an experiment given to each of us so we can try something at work throughout the week and report back to each other.